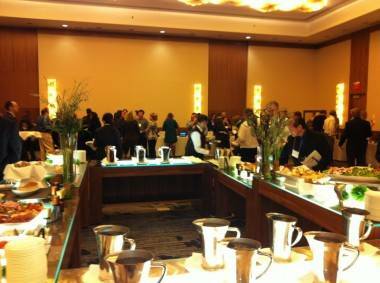 The Napa Valley Vintners Tour Trade Tasting at Sapphire Ballroom, Fairmont Pacific Rim, Nov 1 2011. Just over two dozen wineries brought their products to the Sapphire Ballrom in the Fairmont Pacific Rim Hotel in Vancouver for the Napa Valley Vintners Tour Trade Tasting. The wines consisted mostly of Merlots and Cabernet Sauvignons in the “reds” category and Chardonnays and Sauvignon Blancs in the “whites”. This writer more or less restricted himself to the Cabernet Sauvignons, with occasional dips into the Merlot and Zinfandel. Wineries tasted: Blackbird Vineyards, Clos Du Val Wine Co., Dyer Vineyard, HALL, John Anthony Vineyards, Napa Cellars, PEJU, Silver Oak Cellars, Swanson Vineyards. Notes: Of all the cabs I sampled, my favourite was the John Anthony Cabernet Sauvignon. It was up against some stiff competition, including some price-y reds from Blackbird and a ’96 from Dyer and a couple of classy bottles from Silver Oak Cellars. But the JA had just that touch of sweet, round fruit taste that I look for in a cab, while the rest seemed a little dryer and/or spicier in comparison. Sadly, the product isn’t available (yet) in B.C. John Anthony wine rep Andre Crisp at the Napa Valley Vintners Tour Trade Tasting, Nov 1 2011. Silent auction: Buzzed (just a little) off the Napa Valley wares, I couldn’t resist bidding on a number of items, including some of the wine offered at the tasting, at a silent auction to raise funds for the Arts Umbrella organization. However, my bar cart remains unadorned by one of those over-size bottles of red. Thanks to Karen Madsen of Dana Lee Consulting Ltd for the invite. 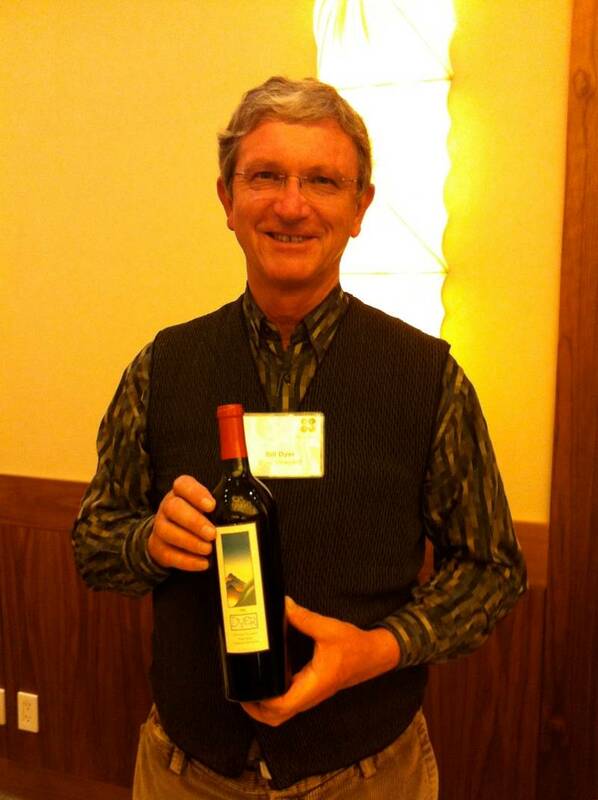 Dyer Straits Wine Co.'s Bill Dyer at the Napa Valley Vintners Tour Trade Tasting, Nov 1 2011. 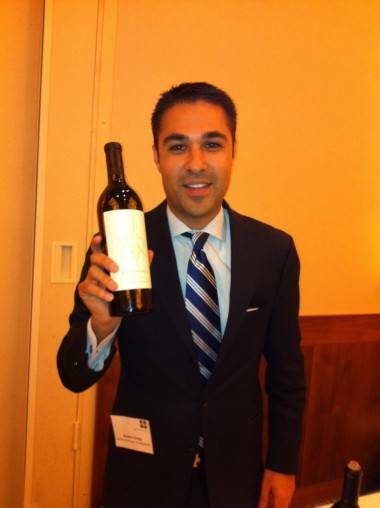 This entry was posted in dining and drinking, Vancouver and tagged events, tastings, Vancouver, wine. Bookmark the permalink.